Web designing is the process of creating stunning websites which are graphically super reach and user friendly. 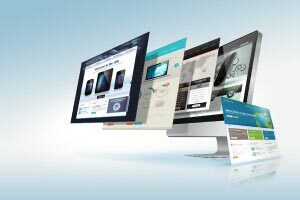 Almost all companies , organizations or any business needs a website now a days. Web designers are much in demand in all cities like Nasik , Mumbai , Pune , Delhi, Bangluru , Hydarabad etc. Here the Web Designer has to be an expert at creating websites which people like to visit in terms of ease of use, great presentation including looks, colors and graphics. If you’re thinking of becoming a professional Web designer, there are a number of things to consider. Firstly, there are many different avenues you can take as a professional Web Designer. You can also choose to go freelance or work in a corporation. And being a Web Designer make sure you know what the job will entail. Finally, getting certification or other education is a great way to make sure you’re prepared. I-Tech System provide Diploma in web Design course in Nashik with professional guidance, lot of practicals, Live Projects and placement assistance. This course can be done by any graduate or under graduate like Engineer, MCA, MCM, MCS, B.A., B.Com, B.Sc. Many students do career in Web Designing after 12th/ HSC also. I-Tech System offer short term and long terms courses in Web Designing. We have 3 Months and 6 Months Diploma course in Web Design. Both courses are career oriented and have good scope in getting jobs.